Why spend $500 on a full sample album for vendors and venues when you can print a $10 magazine highlighting your work that they can send home with their potential brides!? 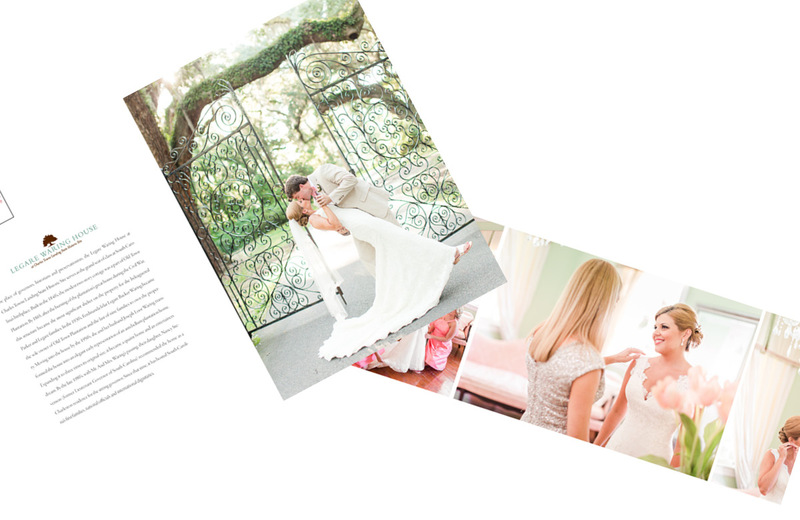 This template will allow you to drop in your own images and create vendor magazines in minutes! Print them for less than $10 apiece and let your favorite vendors do your marketing for you!!! Why spend $500 on a full sample album for vendors and venues when you can print a $10 magazine highlighting your work that they can send home with their potential brides!? This template will allow you to drop in your own images and create vendor magazines in minutes! Print them for less than $10 apiece, and let your favorite vendors do your marketing for you!!! The BEST kind of sample album! I absolutely love the vendor highlight magazine template. In the past when I wanted to send a sample album to a venue, it meant spending several hundred dollars on a leather-bound book. With the vendor highlight magazine, I’m not only saving money, but it’s also better for the venue! The magazine works as marketing collateral for BOTH me and the venue, and since the couple is able to take it home with them, it leaves a more lasting impression than if they were simply to peruse a book at the venue!